Sen. Roger Katz, R-Augusta, speaks in Augusta on Wednesday. Phew. We are through another crisis. The state budget has passed. We have avoided shutdown. But wait. Why is politics in Augusta beginning to feel like politics in dysfunctional Washington? Is it because Republican and Democratic legislators can’t get along? Well, no, not really. Republicans and Democrats in the Legislature reached respectful compromises on the budget and dozens of lesser-known bills. Then why the crisis atmosphere? To me and many others, it is once again the unfortunate tone being set by our chief executive. His use of vulgarity and schoolyard taunts to demean his Democratic opponents. His failure to offer real apology. And then his insulting of Republican legislators who choose to disagree with him. As a lifelong, proud Republican who was overjoyed to see a Republican elected back in the Blaine House three years ago, I have one thing to say. I am embarrassed. Gov. Paul LePage has advocated for important and long-overdue policy changes in the last few years. Reducing Maine’s high income tax rates, prodding for more aggressive school reform, easing the burden of regulation on Maine businesses — these have been a breath of fresh air. The governor has tirelessly pushed to get a grip on the rapidly rising cost of Medicaid, ferret out fraud and abuse, and bring down Maine’s high energy costs. These are ideas most Republicans and I have been proud to support and work to pass into law. It is the kind of positive agenda that defines us as Republicans, and the governor deserves huge credit for leading the charge. But the governor’s behavior is something I have never seen in Maine politics and never could imagine coming from a Republican. I grew up in a Republican household. My father, Bennett Katz, served as a Republican legislative leader when I was young. I got to meet his Republican friends — class acts including Joe Sewall, Ken MacLeod, David Huber and Sam Collins. No one fought harder than they did for the traditional Republican principles of limited government and free enterprise. But they would never even have considered demonizing their opponents. If they were here to see the end of this session, with the name-calling and posturing, with the interests of political advantage pursued over the interests of real Maine people, they would have been appalled. Then, if they found out that this was the tone set by a Republican governor, they would have been dumbfounded. The Republican Party’s highest ideals are expressed by Abraham Lincoln, Teddy Roosevelt, Dwight Eisenhower and Ronald Reagan. The Maine Republican Party’s highest ideals are expressed by our remarkable run of talented U.S. Sens. Margaret Chase Smith, Bill Cohen, Olympia Snowe, Susan Collins. These are people who acknowledge the essential goodness of the people they encounter, from whatever walk of life and party. These are people who are more interested in making government work than in scoring political points. These are responsible reformers. This summer I hope the governor, my fellow Republican legislators and all committed Republicans have a chance to reflect on who we are, what we believe and how we should act. Then we can resolve together to never repeat the scene that happened in Augusta in the last few months. 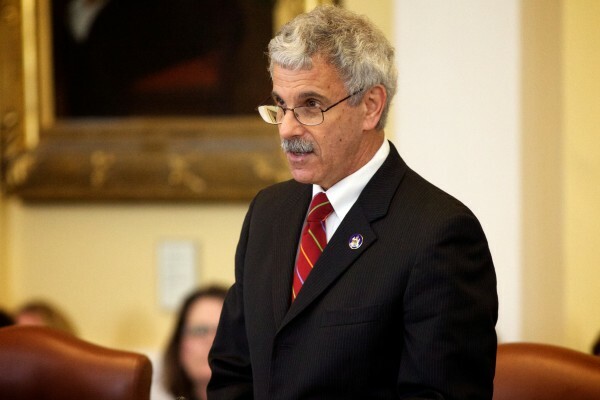 Sen. Roger Katz, R-Augusta, is the Maine Senate assistant minority leader.